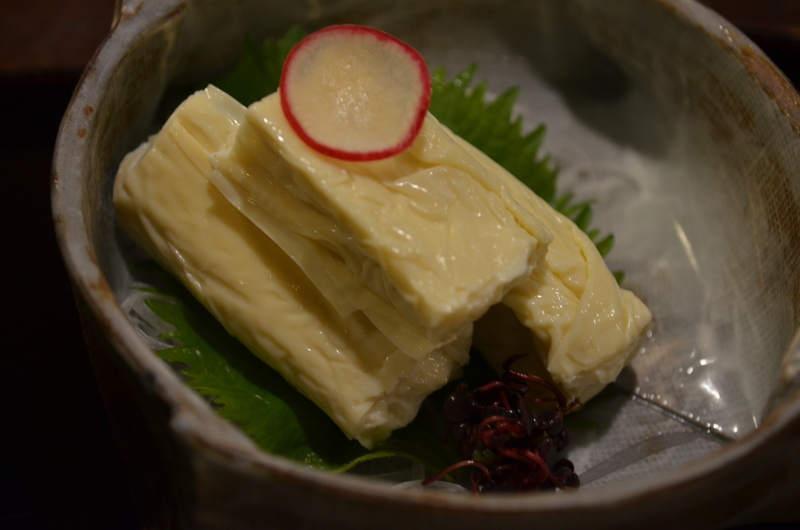 Located near Ginkaku-ji, Omen offers up some of the slurp-worthiest udon in Kyoto. 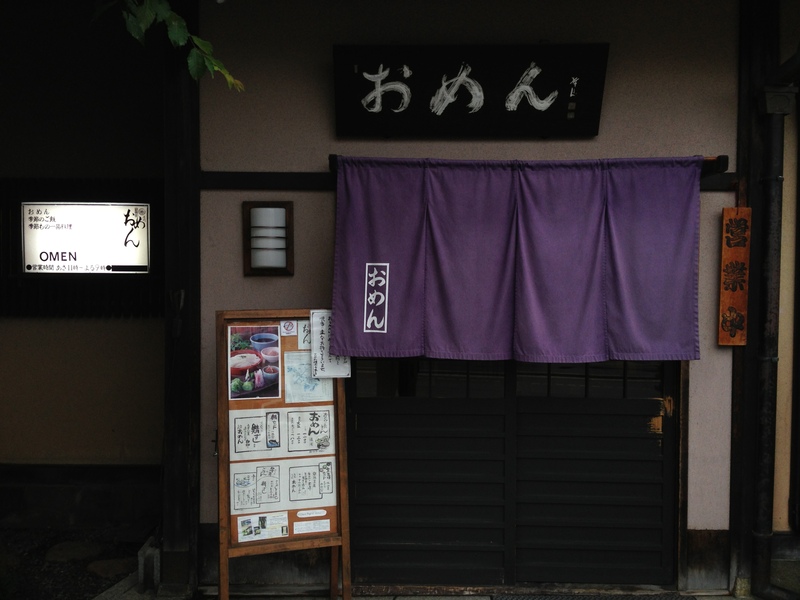 The restaurant sits in an unremarkable building on a street corner, distinguished by a small white sign and a purple-draped door. However, my Japan-ophile friend Ashley had recommended the udon here as a launching point for some neighborhood tourism (the famed Philosopher’s Walk is also nearby), so I gladly (and hungrily) directed myself here. 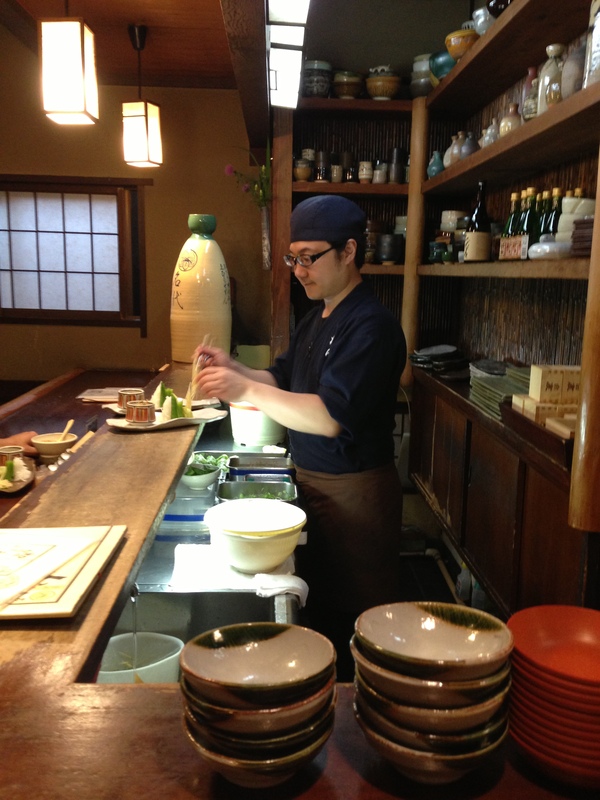 The shelves behind the bar are stacked with funky bottles and bowls of all sorts – sake, sauces, soups, tea – and as soon as you (or anybody) orders udon, the barman sets about plating the mixing vegetables. 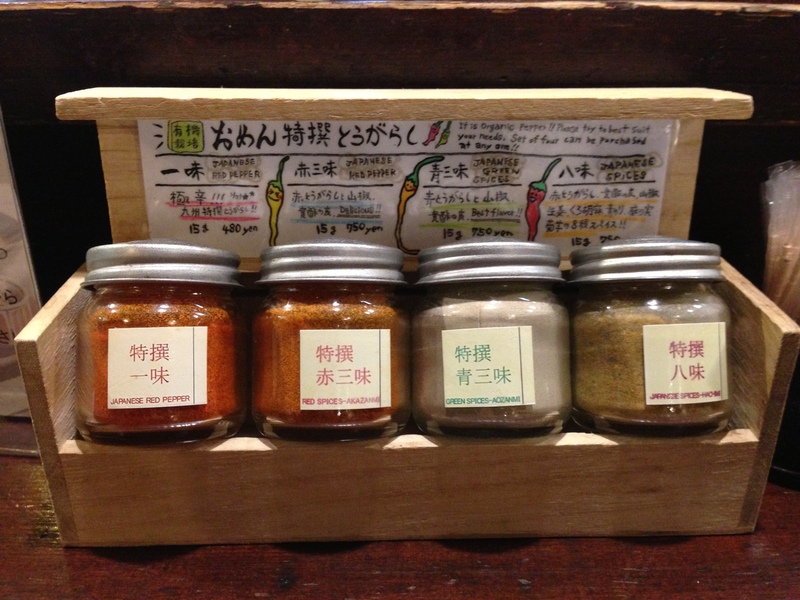 In front of me, Omen set out a display of different spices. 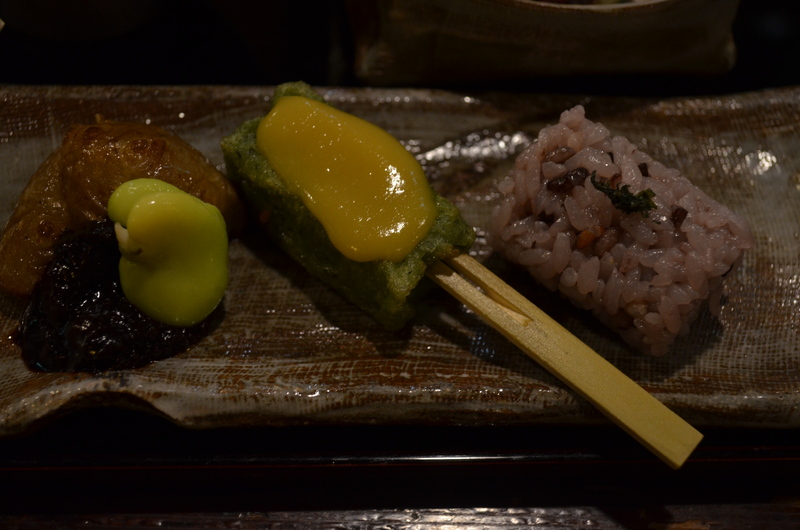 I ordered the most abundant set menu, which came with an assortment of appetizers: sesame tofu, tofu sheet sashimi, deep-fried namafu & kikuimo (globe artichoke) with minced-meat miso, and a candy-sized piece of purple-tinted rice cooked with a confederacy of sixteen different grains. 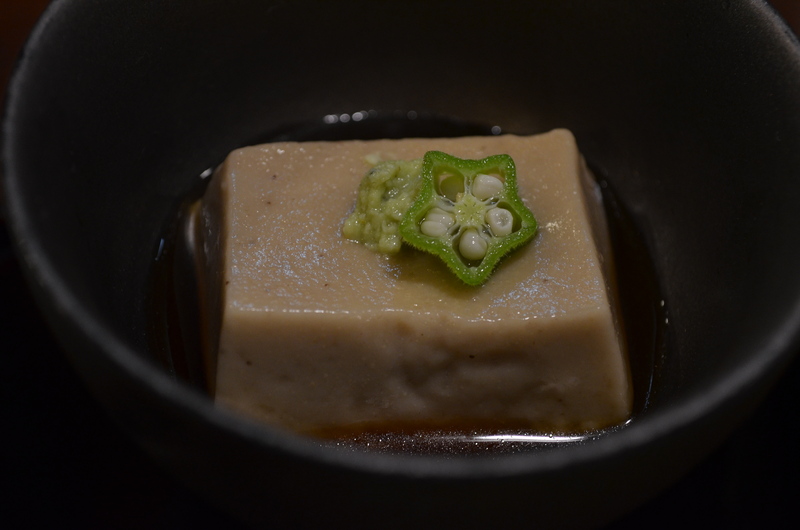 The sesame tofu was a revelation of smooth, intense sesame flavor (if only all tofu packed that much flavor), while the nama-fu, just as gummy as the oden version served up at Hokkoriya, was a burst of miso and umami. 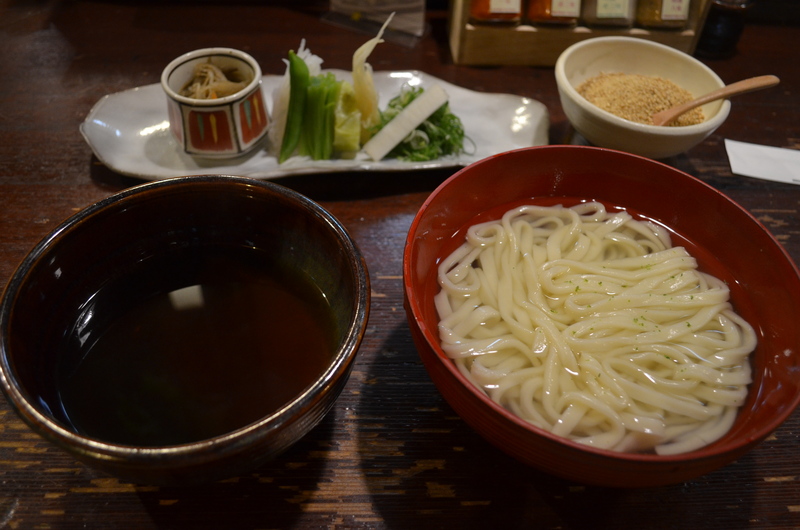 The udon arrived after, freshly-prepped udon next to a dark bowl of tsuyu sauce. After piling on the julienned shreds of ginger, daikon, spinach, chopped scallions and cabbage, pickles, ground sesame, and a healthy dose of aromatic red spices, I dumped a bunch of noodles into the tsuyu and dug in. 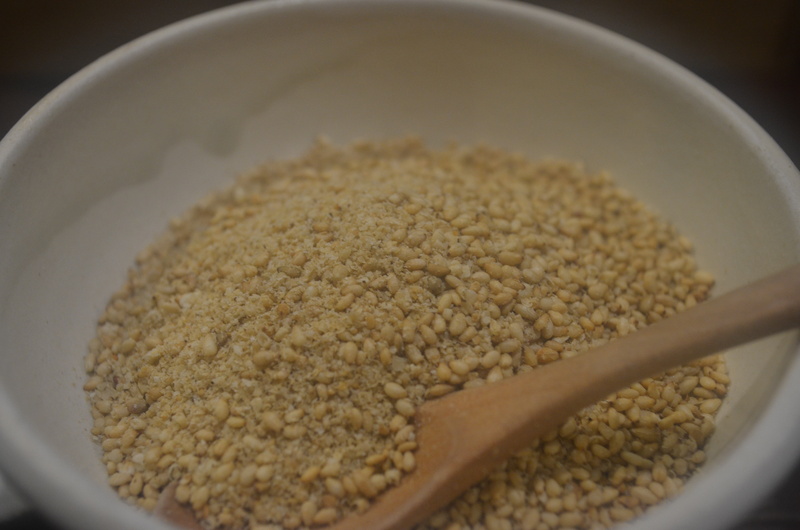 The sesame in particular was a superb addition of roasted crunch and earthiness that balanced out the brightness of the vegetables and ginger and the heartiness of the noodles. 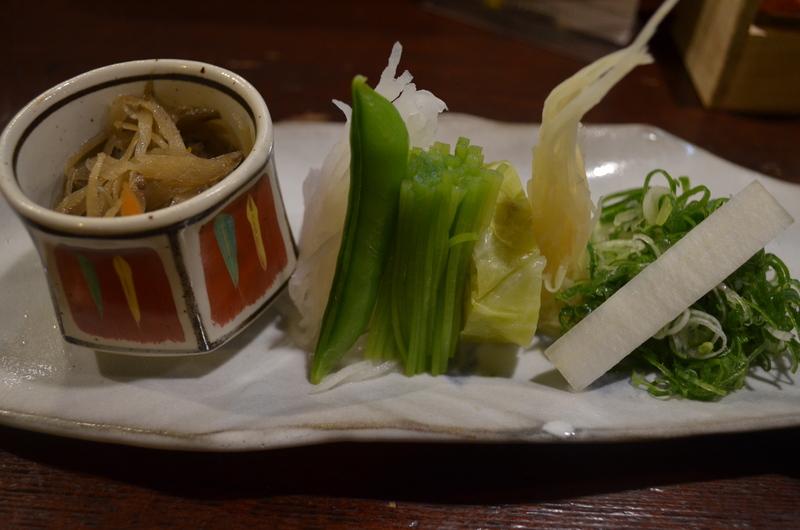 The steaming hot tsuyu was pungent, deeply rooted in bonito, and when combined with the slightly spicy Japanese spices, warmed up every corner of my chest. Apparently, they also have a location in New York, which I’ll have to stop by whenever I head there in the winter. Thanks! It helps when the udon is world-class.